Moneycation: Is Chinese growth finally slowing down? Is Chinese growth finally slowing down? 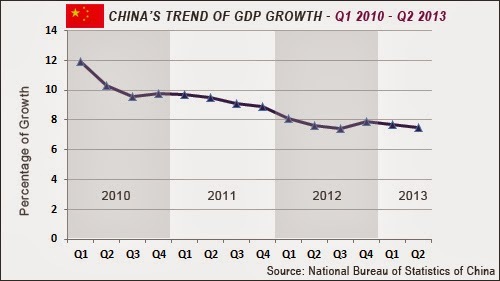 Figures publicised on 20th January 2014 indicate that China’s economic growth in 2013 was the same as in 2012, 7.7%. For an economy that has been growing massively in recent years, such a slowdown could potentially set alarm bells ringing. However, it is also being seen as a positive sign of stability, as with wild growth comes the danger that everything could fall down like a house of cards. To China’s credit, what they have been doing seems to be working, as they are yet to fall on hard times. Indeed, it seems unlikely that they ever will do. One thing it is important to note is that it is the growth of the Chinese economy that has stabilised. There are countries around the world that would kill for economic growth of 7.7% year on year, and even though this will probably be a disappointment for the Chinese administration the reality is they are still miles ahead of anyone else around the world. One of the key drivers of the Chinese economy is that foreign investment shows no signs of letting up. There are plenty of investment management companies with interests in the country, and with these companies responsible for high values of investment, there are always going to be opportunities for the country to capitalise on. In contrast, a slowdown in Chinese growth is probably a sign that the country is hitting a point in its development that it is happy with. Although there has been a lot of controversy around air pollution in China in recent years, it has also been the case that continued infrastructure development has been essential, or else the country could have very quickly found itself on its knees. While governments around the world are looking to China to see what they can learn and understand how they can keep up with the country, investment managers like Alok Oberoi are looking to see where the opportunities lie so they can service their clients. Such is the money being pumped into China that no one is going to be able to keep up with them; the best bet is surely to look at where investments can be made for a high return in the years to come. Many investment companies are actively refocusing their activities in order to take advantage of the opportunities afford to them in China and other potentially lucrative areas. 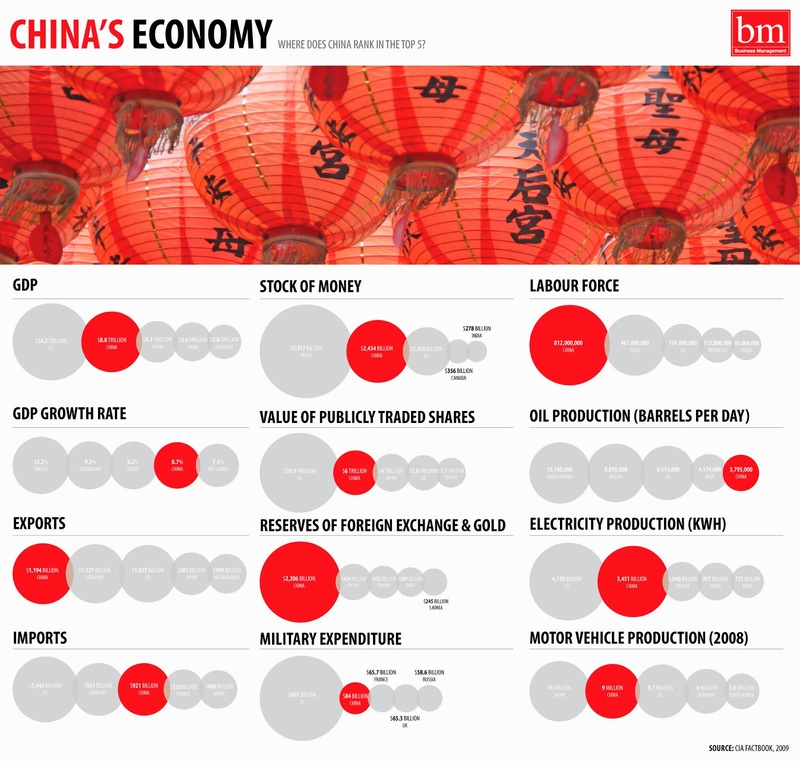 Where is China headed from an economic and financial standpoint? In terms of the economy and the wider impact on the area, something surely has to give in terms of the environment. It has long been believed that being green and making green can’t be done together, but China need to be one of the countries that finds a way to make it happen. Such are the levels of exports from China that it is difficult to see anything other than continued growth for the economy, even if internal development does continue to slow down. About the author: Jack Kaur is a small business owner who imports many products from China. He is always interested in developments related to the Chinese economy as it can have a major impact on the prices he pays for goods.